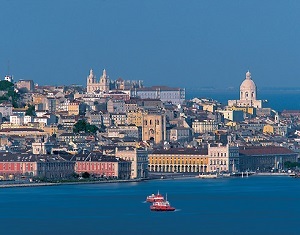 Lisbon a City of Lights and Contrasts is both Atlantic and Mediterranean, illuminated by an extraordinary light that contrasts with landscaped hills tumbling towards the Tagus river. Its architecture features ancient buildings side-by-side with modern constructions. The streets of the Baixa are laid out in a special, ordered design in accordance with the urban ideals of the Enlightenment. The Chiado, with cafes, shops and bookstores, is the historic heart of the city and its cultural district. The Medieval Origins of this city can be appreciated from the heights of the Castle of São Jorge, to the ancient cathedral and a descent into the streets of Alfama and its narrow, labyrinthine alleys. The seafarers who left Lisbon to discover exotic new worlds hailed from this neighborhood. 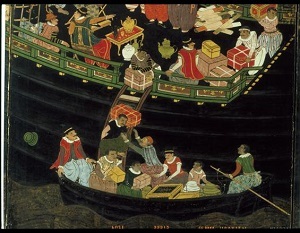 The Museu de Arte Antiga contains the treasures that testify to the rich cultural encounter between West and East. The Espírito Santo Silva Foundation is a museum of decorative arts and a collection of craft workshops where artisan skills restore 18th century aristocratic interiors. The Museu Nacional do Azulejo holds a ceramic tiles, one of Portugal’s great art forms, with pieces from the 15th century to the present day. The Atlantic Coast features the beaches and coves of Cascais, the seductive sea views and luxuriant vegetation of Sintra and Évora, an ancient city of narrow streets, churches, a Roman temple and a Gothic cathedral. Northern Portugal is famous for its vineyards and granite-carved baroque architecture in Porto, Guimarães and the Douro Valley with its monasteries, palaces and gardens. Porto has a unique urban environment. The ancient district features a Cathedral with romantic and baroque elements, and the Ribeira’s ancient stone quays. Medieval Guimarães is renowned for its castle, the Palácio Ducal, fine town houses and ancient stone squares. 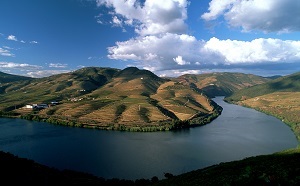 The Douro Valley is famed for its vines, vineyards and views over the valley and the Douro River. Experience the local typical cuisine, the world-famous port wine cellars and a boat trip on a traditional rabelo amidst steep slopes covered in vines and cypresses. 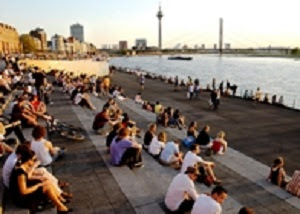 Düsseldorf is the cosmopolitan capital of North-Rhine-Westphalia, Germany`s state with the country`s largest population. The city has close to 600,000 inhabitants and is known for its old quarter – Altstadt – with nightlife and buildings which date back to the 16th century. Here, you can taste the famous Altbier – a dark beer. From the old town it is just a small walk to the spectacular Rhine River, which passes through Düsseldorf on its way to the Northern Sea. You can stroll on the Rheinuferpromenade, a beautiful walkway along the river, which has become a playground for locals over the past few years, particularly in the summer months. You will find nice cafés and restaurants along the way, so just sit down, sip a coffee and enjoy the view, including the Rheinturm (Rhine Tower), Düsseldorf`s highest building at 240 meters. Walking along the Rheinuferpromenade you will reach the harbor area with its spectacular architecture. All these buildings have been constructed over the past 20 years. Three fancy buildings designed by architectural icon Frank Gehry have become new landmarks of this booming city. In the evening, the harbor area – Medienhafen - is one of the most popular places to go out for a good dinner, a drink and maybe to a club. You will find many trendy places to hang out and spectacular view of the river. Ruhr Region Neanderthal Museum, Mettmann, 18 miles; Zollverein World Heritage site, Essen, 30 miles; Light Art Center, the only light art museum in the world, Unna, 65 miles; Gasometer Oberhausen (obsolete gas holder turned cultural, event and exhibit space, Oberhausen, 30 miles; Landscape Park Duisburg North, an industrial site turned green oasis, 29 miles. Halde Hoheward Observatory, Recklinghausen, 43 miles. As Germany`s fashion capital, don`t miss a walk over the famous Königsallee, a 1 Km long boulevard with many of the top international brands such as Armani, Gucci and Prada. You will also find two high-end shopping malls (Sevens and Kö-Galerie) on this beautiful boulevard. 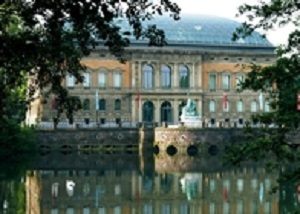 Museums Düsseldorf houses and produces some of best contemporary art in the world. Several of the world’s best known artists have their roots here; among them Andreas Gursky, Joseph Beuys, Gerhard Richter, Jörg Immendorff, all graduates and faculty of the city’s renowned Art Academy. 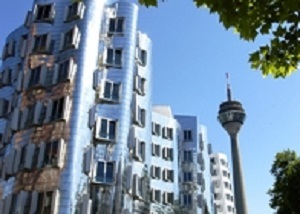 In total, there are 100 galleries and 17 world renowned museums in Düsseldorf, including K20 and K21 (showing 20th and 21st century art, respectively). K21 is also a masterpiece in terms of architecture. 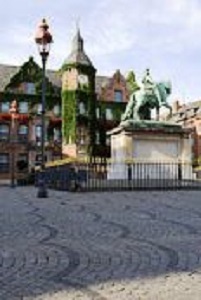 Built on a historic site in the style of an Italian palazzo between 1876 and 1880, it was extensively damaged during the war and rebuilt between 1947 and 1949. 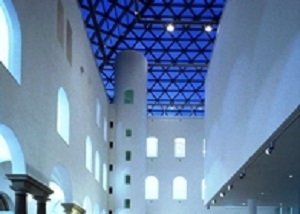 K21 is part of the Kunstsammlung NRW, the art collection of North-Rhine-Westphalia. With a glass roof presenting a great view of the city, the museum hosts a very stylish and trendy bar/restaurant. 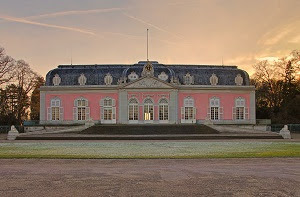 Benrath Castle is a beautiful baroque castle with a huge park leading to the Rhine River in the South of the city. Sometimes there are outdoor concerts during the summer season. Another very historic site is Kaiserswerth in the North – this is the most ancient part of the city with a 12th century castle ruin. Take one of the river cruises from the Schlossturm in the old town – it takes you straight to Kaiserswerth. 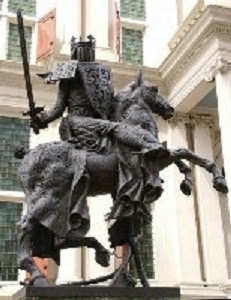 Original and fascinating professional guided walking tours. 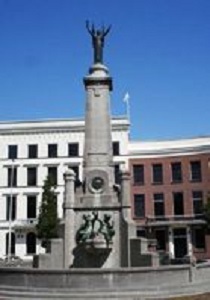 The heart of the second-largest city in the Netherlands lies inside a triangle of main roads. This inner city can easily be explored on foot within this triangle. 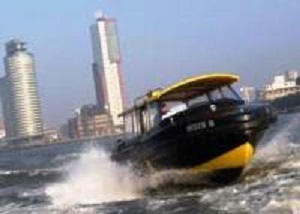 The relatively short distances make a walk along beautiful and interesting sights and exceptional museums, the perfect way to discover Rotterdam. City Tours daily walking tours in the mornings, afternoons and during the evenings. 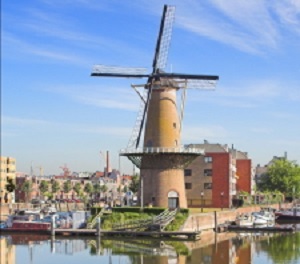 Explore Rotterdam, including a guided visit to the St. Lawrence Church, the White House, Erasmus, City Hall, St. Lawrence Church and the Lijnbaan, Europe's first pedestrian shopping streets and much more! After the walking tour, you could take a boat tour along the harbor. The Museum Quarter from Sonneveld House, adjacent to the Dutch Architecture Institute, you stroll through the peaceful museum park to the stately Westersingel, containing the works of great sculptors such as Rodin and Shapiro and Gallery van Waning, located in a historic patrician house. 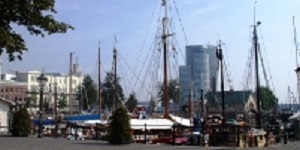 The Historic Maritime Quarter & Harbor Museum located on the Nieuwe Maas, a stately 19th Century neighborhood. On the 'Veerhaven' you can see many traditional seagoing sailboats and yachts, there are no barriers such as bridges or locks making the harbor ideal for sailing ships. Then you will travel by water-taxi to the Harbor Museum in Leuvehaven and its collection of authentic and still working ships, port equipment and engines covering the period 1850-1970. Parks Tour a fascinating walk through "The Park" on the Maas starts at the Norwegian Seaman's Church Sjømannskirken, located on the Westzeedijk then enter ´Schoonoord´, a 300 year old garden. The tour ends at the Euromast - the tallest observation tower in the Netherlands. Delfshaven a historic area with over 600 years of history, it was the base Dutch East India Company; the Pilgrim Fathers departed from it wharfs in July 1620. Formerly the seaport of Delft, it is now a Rotterdam borough, a trendy area with restaurants, galleries and the city’s only brewery.